NEW YORK, NY — In a midtown Manhattan event space, the business cards were flying. They were proffered from tailored suit pockets, from designer handbags, from sleek wallets, and, in one instance, from a sterling silver case. Meanwhile, the conversations among the business people gathered at the Hudson Mercantile on Thursday literally echoed off the high ceilings. These exchanges were a snapshot of Hispanic America rarely seen in the media — and exactly the type of connections that organizers of the Alumni Society’s 2016 Leadership Summit had envisioned. 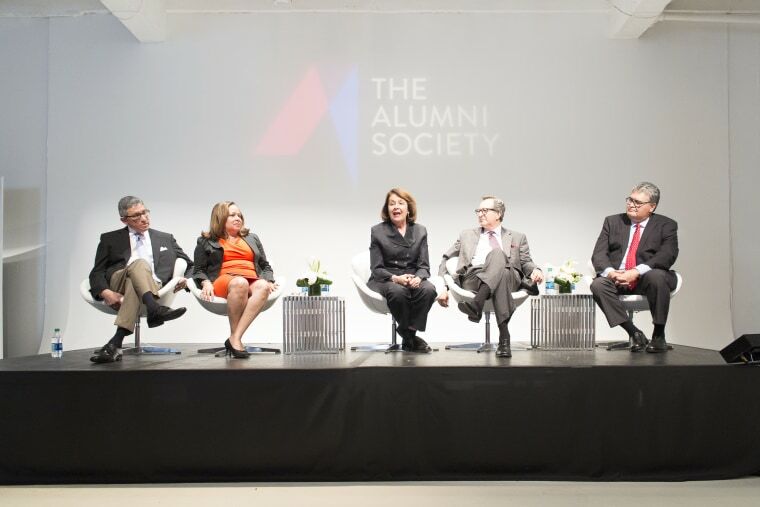 A professional development organization, The Alumni Society is open to mid- to senior-level Latino business executives who have graduated from a group of select colleges and universities, including the Ivy-League schools such as Harvard, Yale and MIT as well as Georgetown and Stanford. The Alumni Society offers networking opportunities for growth in the private sector, with the overall goal of advancing Latino leadership in corporate America. "We wanted to shatter the myth that many businesses have that they can't achieve diversity because there are no qualified candidates," said co-founder Ricardo Anzaldua, who is MetLife's Executive Vice-President and General Counsel. "So we said, no qualified candidates? How about these 20,000 Latino graduates of elite academic institutions in the United States?" Anzaldua recalled these conversations as “dynamic” and “inspiring,” but noted that he and his peers would inevitably go back to their studies, leaving unfulfilled promises to meet up again in their wake. He had a similar experience while attending Harvard Law School, where opportunities to connect with fellow Hispanics were “amazing” but infrequent. Fast-forward to 2013, when Anzaldua and Pedro Guerrero, CEO of Guerrero-Howe, were discussing this situation at a dinner organized by Hispanic Executive magazine to honor executive achievement. 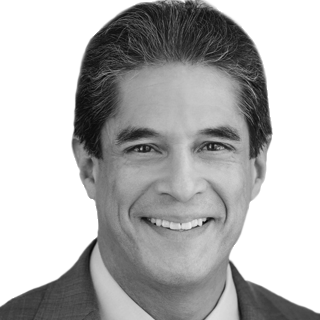 Guerrero asked Anzaldua if he could run with an idea of a networking platform for distinguished Latino business leaders, and the team at Guerrero-Howe then came up with the name and branding for the fledging group. Guerrero and his team hammered out a proposal, brought on selective schools as partners, and The Alumni Society was born. The group was founded in 2014, active by 2015, and now has 800 members. According to Guerrero, Hispanic Executive continues to be involved with The Alumni Society today. The demographics of The Alumni Society’s membership are impressive. Twenty-two percent of its members are Harvard grads, 14 percent are Columbia alumni, and alumni of the University of Pennsylvania and Stanford are tied at 10 percent each. Despite Anzaldua's elite academic background, he has had his own brush with discrimination, something that others in the group have also experienced. Like many Latinos, Anzaldua's family has been in the U.S. for generations; going as far back as before the 1700s. Yet after growing up as part of the established "Hispanos" in New Mexico, a young Anzaldua moved with his family to South Texas. “That's where I really learned what racism was - South Texas is a totally different world from New Mexico," said Anzaldua. He said that even though many Hispanos have been in South Texas for a long time as well, it was clearly a situation where non-Latinos were the power structure. "There was very limited access to any kind of power or control or economic opportunity or anything for Latinos," he said. The awareness of this reality set Anzaldua on a life’s course of achievement, and inspired his co-founding of The Alumni Society. "I think an organization getting high-qualified Latinos in the same room across industries and across schools has resonated in ways I didn’t even expect,” said attendee Miguel Sanchez. Despite being the country’s largest minority group – comprising about 17 percent of the country's population – Latinos are consistently underrepresented in the higher ranks of the business world. A 2010 report by the General Accounting Office found that Hispanics filled three percent of senior-level jobs in the financial services industry. Similarly, this year the New York Times reported that Latinos comprised three percent of workers at companies like Microsoft, Google, Facebook, and Twitter. American Bar Association statistics show that Hispanics are four percent of licensed attorneys. The Alumni Society also has a strong commitment to giving back to the community; many members are the sons and daughters of immigrants. The group has held events in New York and San Francisco, with more scheduled this fall in Los Angeles, Dallas, and San Francisco. The 2016 Leadership Summit — the largest member gathering — had over 350 registered guests. Facebook, Goldman Sachs, and MetLife partnered in sponsoring the Summit. So far, the response from members seems to be enthusiastic. This year’s the organization's Leadership Summit featured panel discussions, small-group leadership sessions, and a keynote speech by CEO of the Girl Scouts of America Anna Marie Chavez. Chavez urged attendees to get involved in the political process and to support Latino candidates that they believe in. Speaking to NBC News, Chavez praised the Alumni Society. Anilu Vazquez-Ubarri of Goldman Sachs said that she saw a lot of opportunity at the Summit.